Quickly and effectively removes grease, oil, tar, dirt, grime, corrosion, sludge and other stubborn substances to increase operating efficiency of electric motors and equipment. 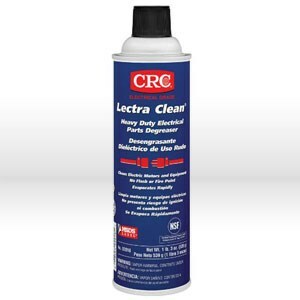 LECTRA CLEAN offers quick & efficient degreasing action, fast evaporation and no residue. With no flash or fire point, it is an excellent alternative to 1,1,1-based cleaning products. Use caution on plastics.